Book your Mantee Tour online! 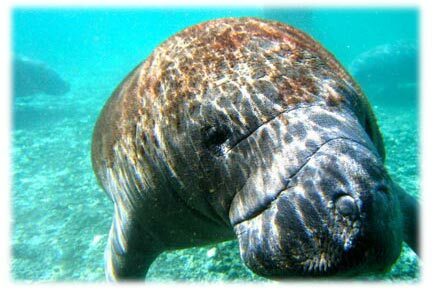 Why are our manatee tours so popular? 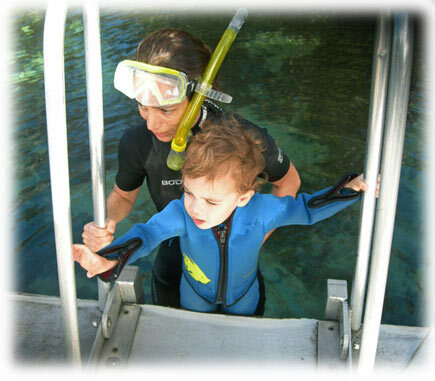 Many people come here to snorkel because of the large manatee population that migrate up into the warm natural spring fed waters that remain a constant 72 degrees all year round. During the winter months, Crystal River boasts the largest manatee population and is the only place in the world that you can swim with the manatees during our manatee tours. What can I expect to experience during my manatee tour? Manatees are known to be very docile and friendly. Are there any manatee tour restrictions? As you head out into Kings Bay and the Crystal River, your Captain and manatee tour guide will explain what to do and not do. 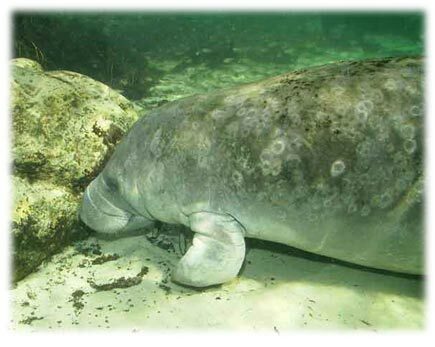 There are certain off limit areas that are roped off and serve as a sanctuary for the endangered Manatee. They like to roll onto their side or back so you can scratch their belly. The manatee can be very affectionate and curious, but you should never pursue a manatee, always allow them to seek you out for interaction. Summer manatee tours are possible. Once you enter the water during your manatee tour, it is recommended to simply relax and float along in an area where the manatee are congregating, any sudden movements or splashing will discourage them from approaching you.There is a summer herd of manatees that have taken up permanent residence in Kings Bay. 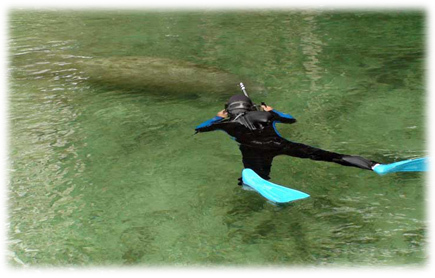 Check out our calendar, and book your Manatee Tour online.